You are here: Home / Panel of Neutrals / John W. Brister, Esq. EDUCATION: Dartmouth College (B.A. 1967); Boston College Law School (J.D. 1970). LEGAL EXPERIENCE: John Brister spent three years at Boston Legal Aid Society before joining Parker, Coulter, Daley & White, a Boston litigation firm. During his years there, from 1974 to 1995, Mr. Brister was the lead trial counsel in a multitude of cases in the Superior Courts of Massachusetts and the U.S. District Court. 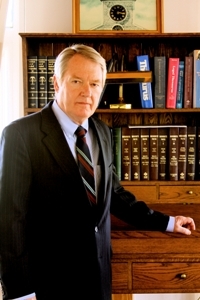 He has represented insurers, private corporations, and individuals as plaintiffs and defendants in complex cases involving products liability (with particular emphasis on safety of industrial machinery), factory and construction site accidents, medical and legal malpractice, claims against insurance companies for bad faith and unreasonable failure to settle, as well as more routine personal injury claims arising from car accidents and premises liability. Since the formation of Brister & Zandrow, LLP in 1996, his practice has focused primarily on representing individual plaintiffs and corporations, and has broadened to include non-personal injury related litigation, representing individuals and businesses in a variety of matters, including contract disputes, real estate issues, and legal malpractice. During his 30 plus years as a trial lawyer, he has been directly involved in the settlements of hundreds of cases. This experience gives him the ability to appreciate the perspective of both plaintiffs and insurers. OTHER PROFESSIONAL EXPERIENCE AND ASSOCIATIONS: Mr. Brister has been a member of the Massachusetts Bar Association, Association of Trial Lawyers of America (American Association for Justice), Defense Research Institute, Massachusetts Academy of Trial Attorneys, and the Massachusetts Defense Lawyers Association. He has been A-V rated by Martindale Hubbell for over 25 years. Having lived in Latin America as a boy, he is fluent in Spanish. His offices in Plymouth would be available for mediations for South Shore and Cape Cod litigants.